BROWN COUNTY—Each summer, a group of teenagers from St. Agnes Parish in Nashville, and St. Ann, St. Benedict and Sacred Heart of Jesus parishes in Terre Haute come together with adult leaders to help people in need in Brown County. 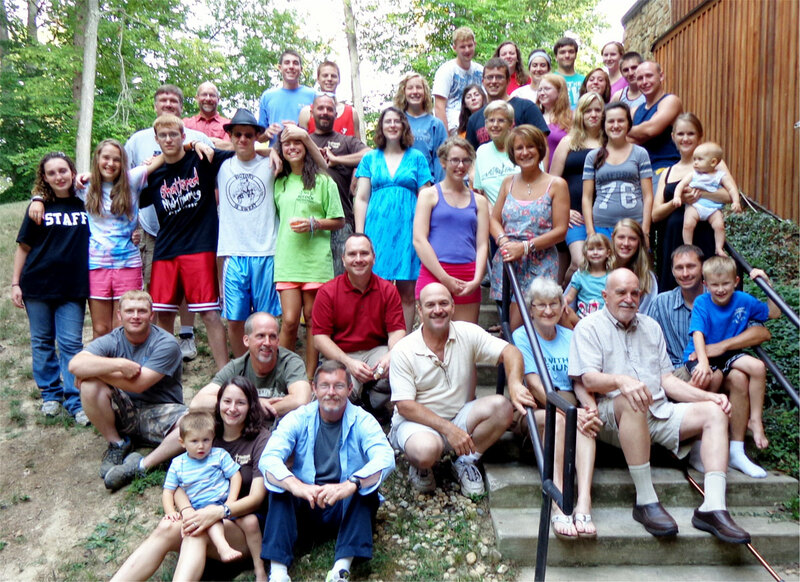 Indiana Nazareth Farm is an annual service camp sponsored by St. Agnes Parish and the three Terre Haute parishes. It is based on four cornerstones—community, prayer, simplicity and service. 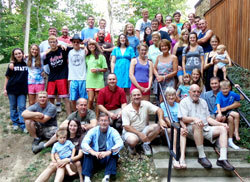 This year, the camp took place on July 27-31, and included 15 teenagers, four young adults and 14 adults. Each teenager and adult leader provided an average of 36 hours of intensive hard labor in just four days, equaling 1,188 hours of volunteer service. Team leaders were youth ministry coordinator Adrianne Spahr from St. Agnes Parish and Janet Roth, youth ministry leader at the three Terre Haute parishes. As in years past, the youths and their leaders reached out to the Brown County community, and provided their spiritual and physical strength to enrich the lives of residents and ease their their day-to-day challenges. Some of the projects included painting the inside and outside of residences, building repairs, yard work and cleanup, mulching, constructing a small chicken coop and tunneling under a sidewalk for a propane pipe. In addition, the youths and leaders shared prayers and reflections every morning and evening.